KATHMANDU, Dec 20; Doha Bank has opened its representative office in Nepal. The bank based in Doha of Qatar will provide various non-banking transaction services in Nepal through its representative office, including international trade facilitation, support for businesses and investment advisory services, according to officials of the bank. The bank, however, will not undertake any commercial activities in the country. This is the first Qatari bank to have its representative office in Nepal. Suraj Shahi has been appointed as the bank's Chief Representative in Nepal. Speaking at a ceremony organized in Kathmandu on Wednesday, the bank's CEO R. Seetharaman said that the bank wanted to establish bank-to-bank relationship in Nepal while also facilitating international trade and businesses in Nepal. "Doha Bank has three full-fledged branch operations in Mumbai, Kochi, and Chennai. We are already facilitating trade businesses between Nepal and India through the branch network," said Seetharaman, announcing that the representative office has come into operation. 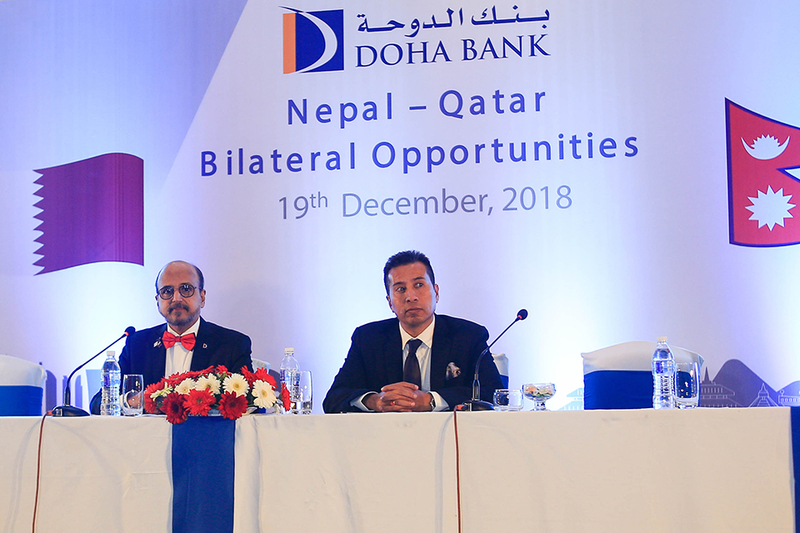 "As the first mover advantage, Doha Bank will be a gateway for domestic banks in Nepal that hitherto do not have a reach in the high growth markets in the Gulf region," he added. He also informed that Doha Bank had started tying up with local banks in Nepal to facilitate sending remittances to Nepal from Qatar and other Gulf countries. He said that Doha Bank could support Nepali corporate offices in Doha to enhance their business potential. According to CEO Seetharaman, the representative office will support and closely liaise with domestic financial institutions and business communities to facilitate their business decisions in reaching out to the high potential gulf and Indian markets. CEO Seetharaman also said that Doha Bank could open its branch in Nepal in the future. The bank will also help in bringing investment to Nepal, according to him. 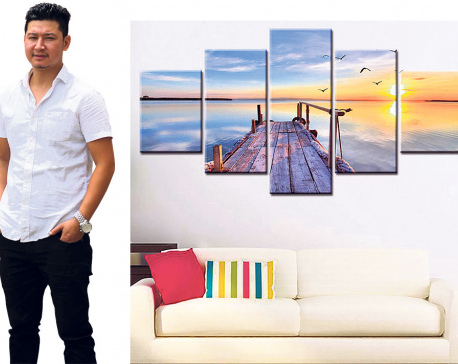 "There are lots of potential in Nepal. Be it in agriculture sector or in hydroelectricity, we see that Nepal can attract investment and we want to help on that too," he said. "So, hydroelectricity, agriculture and tourism are three major areas of our focus in Nepal," he added. According to a statement issued by the bank, it is the third largest local conventional bank by assets in Qatar, with a balance sheet size above $24.8 billion as of September 30. Apart from Nepal, Doha Bank has its representative offices in Japan, China, Singapore, Hong Kong, South Africa, South Korea, Australia, Turkey, the United Kingdom, Canada, Germany, Bangladesh, and Sri Lanka. Similarly, the bank has its overseas branches in Kuwait, Dubai (UAE), Abu Dhabi (UAE), Mumbai, Chennai, and Kochi (India).